products | Advanced Softmaterials Inc.
SeRM Super Polymer is a type of Polyrotaxanes. It is a raw polymeric material with improved solubility in solvents, compatibility with other materials for use in various industrial applications. SeRM Super Polymer SH Series are polyrotaxane derivatives having hydroxyl functional groups, which are usable as a polyol materials in the application of coating, adhesive, sealant and elastomer. Expected benefits: scratch resistance, stress relaxation, flexibility, et al. Three grades are available. They are different in the length of polyethylene glycol chain. 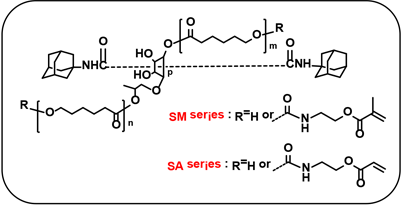 SeRM Super Polymer SM and SA series are polyrotaxane derivatives having radical crosslinkable functional groups. Similar to metacrylates or acrylates, it can be cured with UV light or heat under addition of radical initiators. These products are diluted in methyl ethyl ketone at concentration of 50 wt%. Expected benefits: scratch resistance, flexibility, strength improvement, reduction of shrinkage, et al. SeRM Key-Mixture SM or SA series are solutions of SeRM Super Polymer SA or SM diluted with multifunctional acrylic oligomer as a reactive diluent. VOC content is below 1wt%. Specially formulated for anti-scratch coatings, paints and inks. They can be used in adhesives or sealants. process , SeRM Micro Ball can be used simply by adding to target materials. Properties of thermoplastic elastomers or resins are expected to be improved using SeRM Micro Ball. 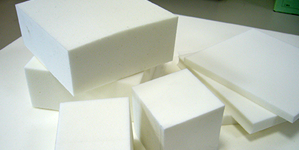 SeRM Urethane Foam is a new soft urethane foam containing SeRM Super Polymer. Settling, one of the weaknesses of urethane foam, is drastically improved. Even under severe usage environment, SeRM Urethane Foam shows excellent compression set, and high body pressure dispersion. 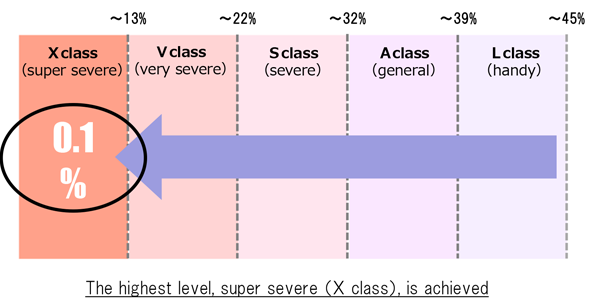 After performing cyclic compression at constant load (750N, 80,000 cycles), thedecrease of hardness (%) of the foam at 40% compression is measured. Seat/body pressure dispersions are compared using a sheet type pressure distribution measurement instrument. Copyright (c) Advanced Softmaterials Inc. All Rights Reserved.